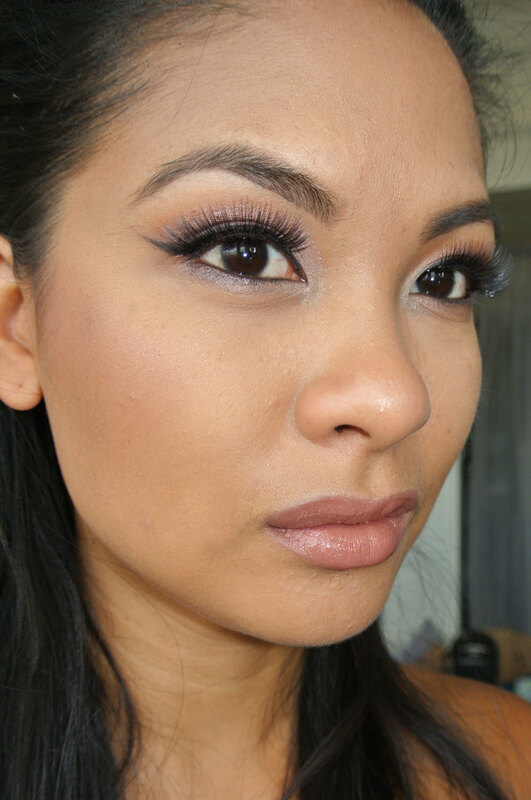 The other day I was meeting a few friends out for lunch and I wanted to use a few warm Mauve colors from my Urban Decay Naked 3 palette. I also wanted to make sure that my skin looked soft and glowy but not too shimmery, so I used my Barry M Dazzle Dust as a highlighter instead of an eyeshadow and I'm loving the way it turned out! To keep the look warm and casual, I wore my MAC Viva Glam V for a neutral pink. For any interested I've listed all the products used below.